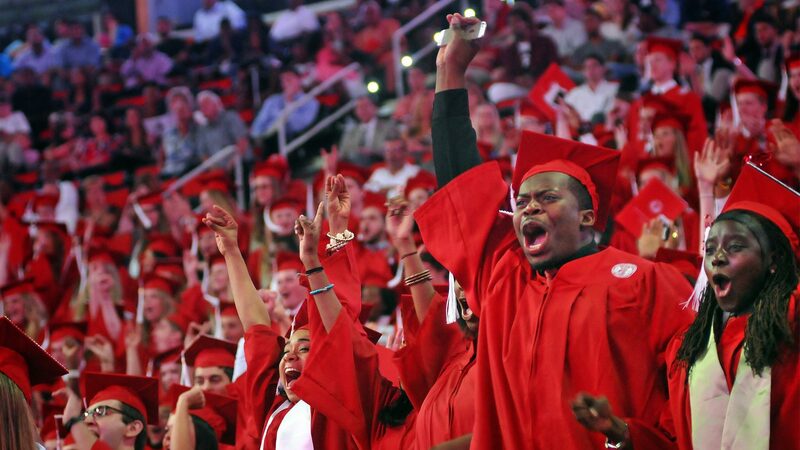 RALEIGH, North Carolina—The NC State College of Education will confer bachelor’s, master’s and doctoral degrees to 330 students across two ceremonies Saturday, May 13, at Raleigh Memorial Auditorium. Both ceremonies will be live streamed through the College of Education’s Facebook page. The Graduate Commencement Ceremony will begin at 1:30 p.m. and recognize 225 students completing their master’s and doctoral degrees. Ellen Murphy ’98, ’14 will deliver the Charge to the Graduates. She is the assistant dean of instructional technologies and design and director of Master of Studies in Law at the Wake Forest School of Law, as well as a member on the College of Education’s advisory board. The Undergraduate Commencement Ceremony will begin at 4 p.m. and recognize 105 undergraduate students. Michael Clinkscales ’98,’02,’12 will deliver to the Charge to the Graduates. He is an assistant principal at East Garner Middle School and a member on the College of Education’s advisory board.